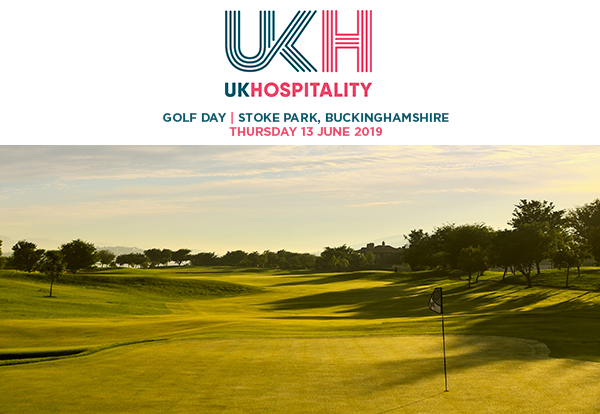 Save the date for UKHospitality’s annual Golf Day at Stoke Park for a day of exclusive golf, networking and fine dining. Set across 300-acres of Buckinghamshire parkland estate, the famous Championship golf course is undisputedly one of the finest parkland courses in the country. The UKHospitality Golf Day will see an exclusive number of operators and suppliers enjoy the immaculate rolling fairways, unwind in the beautiful scenery, and enjoy a luxury four-course business networking dinner. Enjoy 18-holes of golf and networking at the finest golf club in the British Isles followed by post-golf drinks on the terrace. After you’ve enjoyed your experience of playing golf, we invite you to join us for a luxuries four-course business networking dinner and a presentation of prizes. Please note there is a no refund policy for this event. All ticket sales are final and UKHospitality must receive payment prior to the event. This shall be excepted if the event is cancelled or the date is changed at the organiser discretion, in which case a refund option will be offered.